Easy Shaky Video Fixer eliminates camera shakiness and makes video smoother. This software aims to generate smoother videos that look like they were filmed using either a camera stander or a very steady hand. Whether you are using a handheld camera or a dash cam to capture the action, there are high chances you get a shaky video in the end. Those undesirable jitters are sure to ruin your thrilling clips of practicing sports or driving. 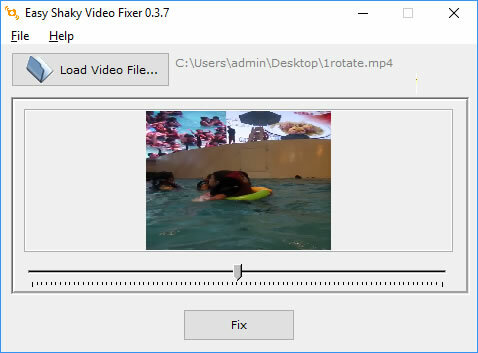 Easy Shaky Video Fixer can be of help in these situations, providing a simple means of correcting random camera shakes in your videos.